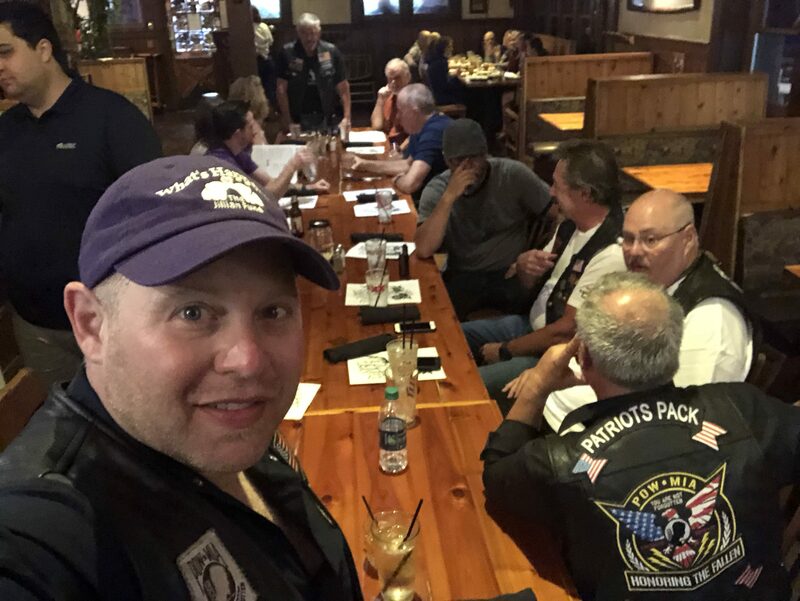 Muratec Hosts Jillian Riders in Plano | Industry Analysts, Inc.
On May 19, The Patriots Pack arrived in Plano Texas to pick up members of their ride from Scottsdale AZ to Washington DC. New rider Simon “Fish” Vermooten was waiting at the hotel when we rolled in, as were several Muratec employees, including Mike “Lone Star” Christenson, meeting up with us for his fourth Patriots Pack Ride. 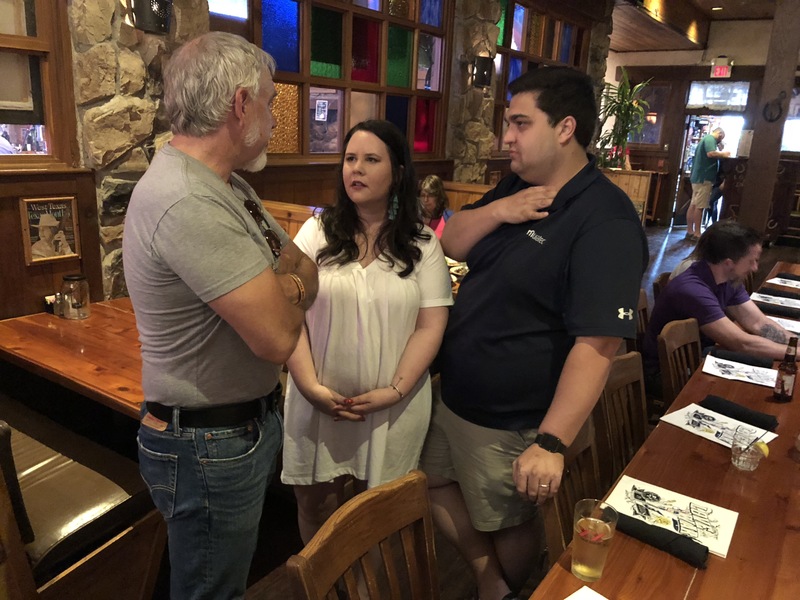 Muratec hosted the Pack at their favorite Plano restaurant, Love and War. Great steaks and BBQ and the initiation of Fish and fellow newbie Doug “Doc” Johnson, who had to sing to earn their vests. Several other members of Muratec were on hand, including Andrew Jones and his wife Dominic. Other hosts joining the Pack were Carl and Annette Mica, Charlie and Tracy Dickerson and former Muratec-er Britt Siedentopf and his wife. Britt would save the day the next morning by picking up Paco’s wallet at the gas station and driving it 40 miles out to a pre-arranged hand off spot. 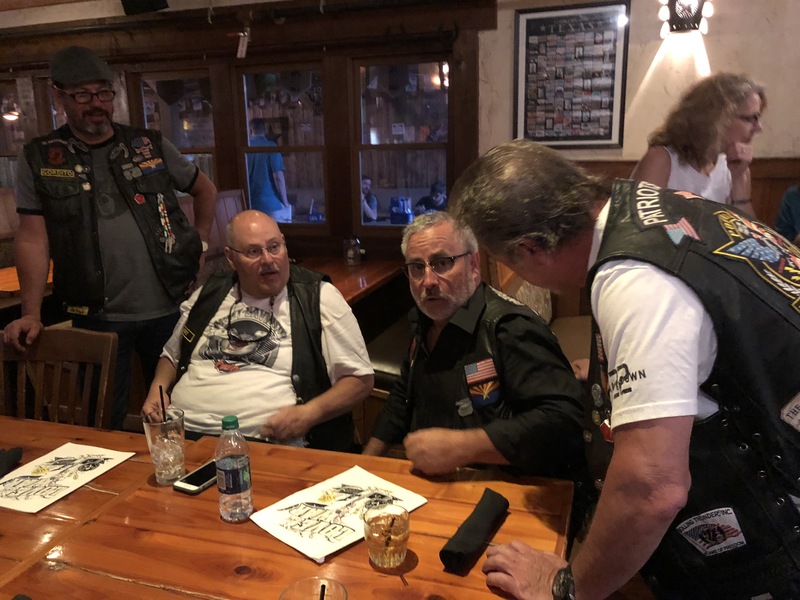 Thanks so much to Muratec for supporting The Patriots Pack as we rode across the US collecting money for The Jillian Fund, on our way to Rolling Thunder to ride in honor of our MIA, KIA, Active Duty and Veterans! This is always one of our favorite evenings of this annual ride. What a great night, thank you again Muratec for your support! This entry was posted in Muratec and tagged muratec, The Jillian Fund, The Patriots Pack, The Ride for Jillian by IA Staff. Bookmark the permalink.